[ E. F. Benson, author of the 'Mapp and Lucia' novels. ] Autograph Signature ('E. F Benson'). 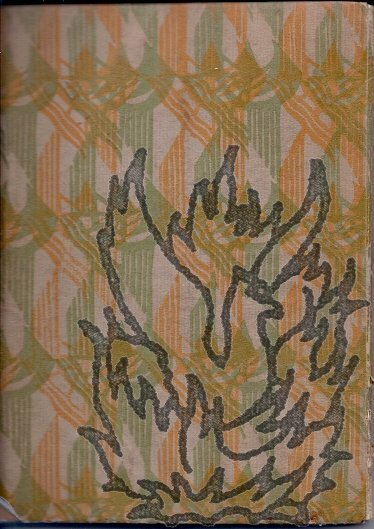 On one side of a 3 x 10 cm slip of paper, cut from the end of a letter. In fair condition, lightly aged, with tissue mounts adhering to blank reverse. A good firm signature, underlined, reading 'E. F Benson'. [Maxime Du Camp, French writer.] Autograph Note Signed to an unnamed male correspondent ('Ami'), regarding the receipt of a book, "votre [sic] Robert Emmet" with reference to the latter's author, Countess of D'Haussonville. On letterhead of the Revue de Paris. 29 October 1857. Typescript of 'The Last Month. By Ernie Wilmott' ['Camp Leader, Lager 31, Stalag IVG, Gaschwitz'], with autograph notes by J. L. H. Batt. With copies three articles, by Lieutenant Commander G. S. Stavert (2) and Norman E. H. Litchfield. Wilmott's account without place and date (1960s? ); describing events in April and May 1945. The other three items from 1970s and 80s. The four items in good condition, on lightly-aged paper. In envelope addressed to Mrs P. E. Batt, Beckenham, Kent. ONE: 'The Last Month' by Wilmott. 13pp., foolscap 8vo. A photocopied typescript on thirteen leaves of paper, stapled together, with five original autograph annotations by Batt. The first reads '"Big funf" was one of the German Guards - had no roof to his mouth - spoke funnily' and the fourth 'We had a "Union Jack" which was used for burials when P.O.W. 's died.' Wilmott's account commences: 'There had been gun fire from the west and the south for the last three days. Printed 'Information & News Sheet published by British Prisoners of War Funds [...] No. 21 - Far East'. 27pp., 12mo. Unbound. In fair condition, on lightly-aged paper. 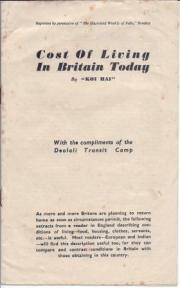 Articles include: Parliamentary News (November 1944); Far East Conditions; Food and Medical Supplies; Minister of Cabinet Rank; Government Inter-Departmental Committee; Telegrams; Radio Message Scheme; Sunk Japanese Transports; List of Names of Prisoners of War and Civilian Internees; Inspection of Prisoners of War Camps; Pay; Leave; Mail. Without place and date (1960s?). The account describes events in April and May 1945. 13pp., foolscap 8vo. Paginated 1 to 13 and signed at the end 'Ernie Wilmott'. 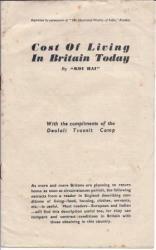 On seven leaves stapled into grey covers, with the title 'The Last Month' typed on the front cover. In good condition, in worn wraps. The account commences: 'There had been gun fire from the west and the south for the last three days. Friday the 13th April 1945 the usual officials did not come to fetch the men, but a little later than usual the Gaschwyz [sic] column was called, so we assembled and left for work, about 20 of us. Reprinted by permission of 'The Illustrated Weekly of India,' Bombay, . 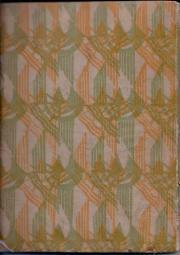 pp., 12mo, original printed wraps, foxed , otherwise good condition. Date '1945' in pencil on front (title), aimed at soldiers returning to England. 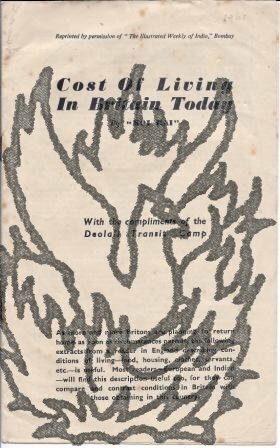 After title, "With the compliments of the Deolali Transit Camp" (see Wikipedia, Deolali transit camp was a transit camp for British troops in Deolali, India, notorious for its unpleasant environment, boredom, and the psychological problems of soldiers that passed through it. Autograph Notebook by Frederick Leman Whelen, containing biographical matter, some on the Stage Society. Including lists of individuals (some Jewish) with whom Whelen was interned at Fort de Romainville and Drancy, Paris, during the Second World War. Small 4to, 140 pp. Paginated by Whelen. Notebook of good laid paper, in boards covered in patterned paper, with the word 'BIOGRAPHICAL' in faded red manuscript at head of front cover. Text neatly written and clear and complete. Good: internally sound and tight on lightly-aged paper; in worn and chipped boards. The flyleaf is dated 1939, with Whelen's addresses given as the Royal Societies Club, St James's St, and 5 Place de la Taconnerie, Geneva.